You think for some time until you decide there’s not really anything to think about in such a situation. It’s like flipping a coin, well, if coins had three sides. You take a deep breath and point to the door in the middle. “That one, please,” you say, almost confidently. The above scenario raises the following question: are you more likely to win if you switch from your original door of choice? This question was put forward by American statistician Steve Selvin in a letter to the journal The American Statistician in 1975. 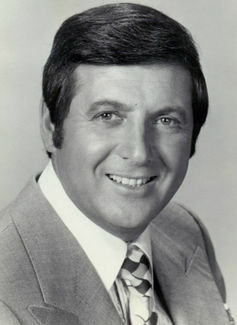 It became known as the Monty Hall problem, named after the first host of the American television game show Let’s Make a Deal. Marilyn vos Savant, who rose to fame for once holding the Guinness world record in the “female with the highest IQ” category (before such a category was removed), said that in this scenario the contestant should always switch as by doing so they will be twice as likely to win than if they simply stuck with their original choice. If there are two closed doors left, one with a prize and one without, then you have an equal chance of winning seeing as you can choose which door to open. But it’s now accepted that Marilyn’s solution is indeed correct – that is, you are twice as likely to win if you switch. Here we will see how the switching strategy will win the game two out of every three times. It will help if we can see what’s behind the doors, just for the sake of the explanation – and let’s assume you want to win a car rather than a goat. 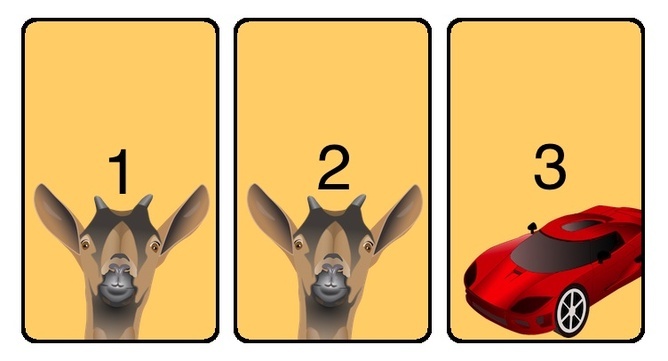 Case 1 If the contestant chooses door 1, then the game show host will reveal the goat behind door 2. In this case, switching will win the prize. Case 2 If the contestant chooses door 2, then the game show host will reveal the goat behind door 1. In this case, switching always wins. Case 3 If the contestant chooses door 3, then the game show host can show what’s behind either one of the other doors. Switching here will result in a goat rather than a car. Therefore, we can see from this argument that switching always results in a win so long as the door we originally choose has a goat behind it. As this happens two-thirds of the time, it follows that we will acheive success two-thirds of the time by the switching strategy. Sit down with a friend and simulate this, say with three upside-down cups and a marble under one of the cups as the prize. One of you plays the game show host and so knows what lies under each cup. The other plays the role of contestant and thus adopts the switching strategy. Keep playing while recording how many times the contestant wins. You should find that after some time, the contestant will have about twice as many successes as losses. Indeed, the prolific mathematician Paul Erdős remained unconvinced by all explanations. It was only when he watched the success-failure distribution given by a computer simulation that he came around.